Yea, you already know that Holiday Festivities = Imbibing of Alcoholic Beverages. We're going to be drinking a LOT. Some of us are going to need to pace ourselves with delicious lower alcohol cocktails so we don't fall asleep in the gravy boat or say inappropriate things at this year's holiday party. Here's a nice one to stimulate the appetite and refresh the palate. 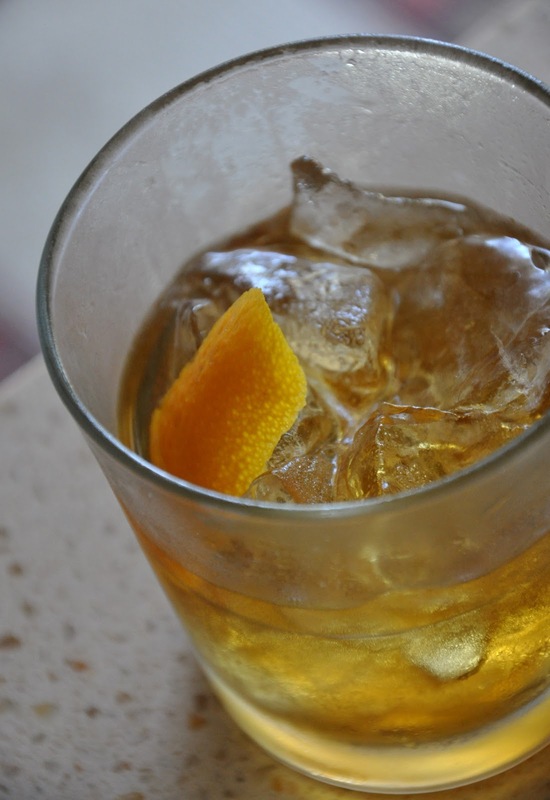 Make sure you get plenty of orange oil into the glass! In a double rocks glass, squeeze out the oils from the orange peel. Drop in the peel, fill with ice. 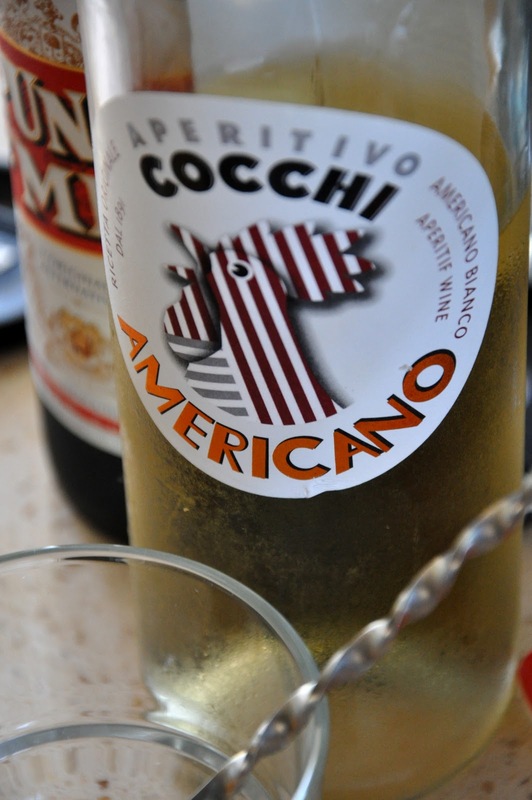 Add the Cocchi Americano and Punt e Mes, stir for about 10 seconds. Squeeze in the other orange peel on top, then use as a garnish. An aperitif style wine produced in Asti, it's similar to Lillet but with a bit more oomph! Crisp and citrusy, Cocchi Americano – like any other vermouth or aperitif wine – should be stored in the fridge after opening. I loved that gravy boat line so much I had to quote it in my book. :) Fun to come across this post again while doing other searches. Thanks, Nat!